How to use positive parenting effectively still seems a great mystery to many. The idea of positive parenting drums up images of lawlessness; undisciplined children running wild in homes, schools, and restaurants, with permissive parents sitting on the sidelines, drinking coffee, exclaiming that they’d never dream of crushing Johnny’s spirit or Jenny’s creativity by disciplining. That’s not positive parenting. That’s a cop-out. There’s a big difference. Kids are heat seeking missiles designed to get what they want. They are relentless. They push and push and push. They know when you are vulnerable, when you are tired, when you might cave into their demands. They instinctively know if you are worn out, and they are unrelenting, they just might find your ‘yes’ button. Give in to their constant demands and they’ll continue to beg, but learn positive parenting strategies and you’ll find not only can you withstand the badgering but you will, in fact, instill boundaries. The peppering will taper off. Permissive parenting without boundaries is petrifying for children. Children intuitively know that adults are supposed to keep them safe, to guide them. Without consistent boundaries, chaos prevails. Children act out more often in hopes of learning their limits. If the boundaries shift, change or disappear altogether depending upon a parent’s mood, children will continue to push and push, seeking boundaries and the safety of a parent’s guidance. In fact, positive parenting includes plenty of discipline, plenty of boundaries. 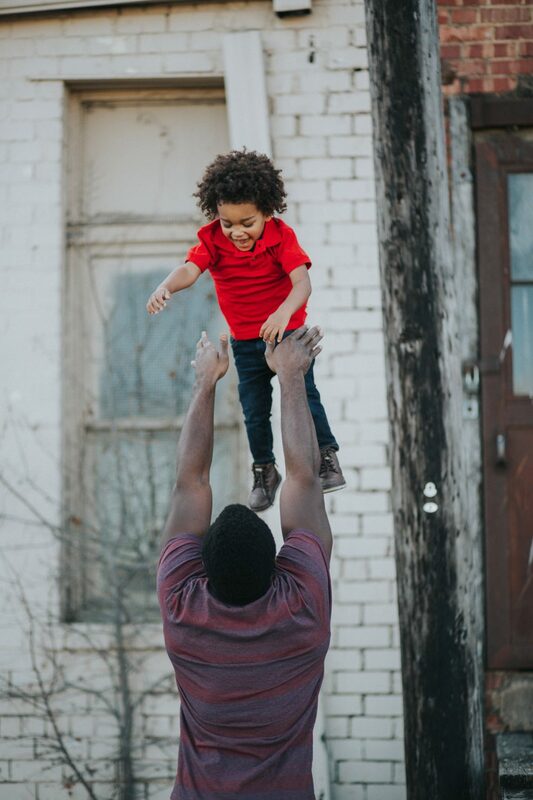 The difference lies in the fact that positive parenting is focused on connections: connecting the child to his parents and caregivers, connecting the child to him or herself and connecting the child to the world around him. Traditional discipline, such as timeouts, often pit child against parent. Power struggles prevail. Often, the discipline itself becomes a source of stress. Any parent who has tried to get an angry child to sit still for time-out can attest the fact that the time-out usually leaves both parent and child more angry and exhausted than the original ‘crime’ for which the child is being disciplined. Positive parenting seeks to teach children responsibility. Positive parenting helps children become independent. Positive parenting helps kids take responsibility for their actions. They learn to right their wrongs. Postive parenting encourages children to feel the rainbow of emotions that are healthy and normal. It encourages children to identify and make good choices, to make amends, to problem solve. A child doesn’t learn self-discipline or self-respect by sitting in a corner. A child doesn’t develop confidence if they live in fear or shame. Like adults, children thrive when they can participate in their lives. Positive and healthy discipline comes in all sorts of shapes and colors. Sometimes, positive parenting means re-directing a child, sometimes it means hugging a child who is having an outburst, sometimes it means the parent themselves must check in with themselves and reduce their anger. Sometimes the best discipline doesn’t look like discipline at all. It looks like forgiveness and love. Sometimes positive parenting means taking a deep breath and getting a better perspective. Put yourself in time out. When your child is being difficult, testing you to your core or he will not follow directions or is acting out, it is easy to find yourself in a state or anger or even rage. The first step to positive parenting is to take a moment to collect yourself. Frustration can consume even the most grounded parents. The best parents are the ones who can remain in control of their emotions. Taking a moment to get a grip on yourself makes all the difference. Sometimes this means you simply take a deep breath and remind yourself that parenting is a marathon. Sometimes this means you lock yourself in the nearest bathroom and splash cold water on your face. Say no and mean it. Shouting at your kids out of exhaustion is a natural reaction, but one that injects your kids with shame and fear. They worry that they’ve hurt you. They wonder what’s wrong with them. Giving into a child’s demands are also a natural reaction, but giving in does two things. First, sets the stage for entitlement (kids expecting to receive everything they desire) and endless demands in the future. Secondly, it sends a loud signal to the child that there is, indeed, a button to be pushed. It means the child will be unrelenting, looking for the ‘yes’ button the next time…and the next. If you can say no, and hold a no, you significantly reduce the amount of begging and demanding your child does, you reduce outbursts and you reduce friction. Be consistent. Every parent is familiar with the pre-schooler who wanders out of bed each night. As exhausting as it is for a parent, even after the hundredth time of reinforcing a boundary (like walking your preschooler back to bed each night after they wander into the family room looking for you), consistency, in time, will make your child feel competent. They will master a skill. They will learn to trust you and themselves. They will stay in bed. Prepare kids for the real world. Positive parenting expects, teaches and models behavior that is pleasant to be around. Setting high standards for your children’s behavior (‘No hitting’, saying ‘please and thank you’, patiently waiting for one’s turn, not interrupting when someone is speaking, cleaning up toys at the end of the day) and then enforcing consequences when your child falls short, prepares them for life. They become more adept in new situations. They will learn appropriate ways to get what they’d like. They will be more enjoyable to be around. They will develop self-confidence in social situations. They will feel better about themselves. Provide a sense of order. Kids, like adults, like to know what is to be expected of them and what is coming next. A child whose days have a sense of order, and ebb and flow, react less and cooperate more when they can predict what is going to happen next. Asking a child to hold hands before crossing a street or brush teeth before bedtime are small but powerful ways to let your child know what is expected. They are signals. They indicate transitions or expectations. These small cues allow the child to feel a sense of predictability, belonging and security. Boost your child’s confidence. By gradually expanding limits placed on a child, your child will develop confidence. Mastering skills, achieving milestones and being allowed greater and greater independence such as having sleepovers or being able to shower on their own makes your child feel empowered, not frightened. Even the smallest of children can learn to use utensils and drink from cups or choose between two outfits, for instance. Let your child have more control of their world and their choices and they will feel more empowered. Pick your battles. You simply cannot control every aspect of your child’s behavior. 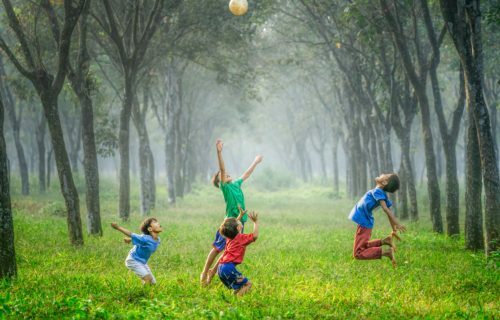 Allowing your child to dress themselves when they go to school or allowing them to choose games to play or who to play with is good for everyone’s soul. When your child has autonomy, she is more likely to agree to things most important to you, like what she wears for family photos, let’s say, or not interrupting when Aunt Jenny is speaking. Allow your child to have a voice. It might surprise you how creative and responsible your child can be when it comes to helping make and enforce rules. Allowing your child to have a say in the rules, and having them help craft consequences is key to getting them to buy in. Kids are usually fair-minded. They will like the feeling of responsibility that comes with creating rules and they will be less likely to act out if they have bought into the consequences. Create fewer rules. Having fewer rules that you can enforce consistently is better than having a lot of rules that are haphazardly enforced. With toddlers, rules are best kept to safety or health issues such as no running in parking lots or washing their hands before meals. Older kids can handle more rules. Remember, setting positive boundaries doesn’t mean you can’t be flexible. If you find you need to bend or break a rule, explain to your kids why a rule is being bent and why in this case, it is an exception. For instance, if your child is getting home late because of a family party, but your child still insists you read to them before bed, explain why this night is an exception to the normal bedtime. Avoid wimpy language. Kids don’t understand what you want if you use wishy-washy language. If you want something, be direct and concise. Instead of saying, ‘I really don’t want you to bother your brother,’ say, ‘Keep your hands in your pockets while we wait in line.’ Instead of saying, ‘Stop doing that, okay?’ say, ‘Walk, do not run, in the store.’ Ever feel frustrated with another adult who expects you to be a mind reader? Don’t expect a child to read your mind. Tell them exactly what you expect from them. Allow your kids to be disappointed. It isn’t realistic to expect a child to accept ‘no’ with grace. Set the limit low so you have the energy and stamina to handle the feelings of disappointment that your child will inevitably display. For example, instead of letting the child bug you for more and more; instead of being driven to madness and exploding, expect that your child will be unhappy. Plan accordingly. Say ‘no’ while you still have patience, while you can say firmly ‘I said two cookies only, no more.’ If your child crumples into a tantrum, you can calmly say, ‘I understand you are upset. I said two cookies only.’ Allow them to pitch a fit. You’ve got the energy to endure it without losing your temper and escalating the situation. Learning to handle disappointment and anger is essential in childhood. Not being allowed to feel the full spectrum of emotions as a kid makes it hard to thrive as adults. Respect their disappointments, allow them to be angry without shaming them and most of all, keep yourself calm while your child is acting out. Some days positive parenting is a breeze. Other days it seems impossible. If you mess up, let yourself off the hook. Do your best, but trust that parenting is a long slog; it won’t be picture perfect positive every day. In the long run, using positive parenting to raise great kids makes everyone’s experience easier. Kids feel safer, more connected and trusting. With fewer battles to fight, parents are more likely to enjoy spending time with their children and family. The boundaries that positive parenting provides gives kids the autonomy, self-acceptance and social mastery needed to grow into thriving adults. Wondering how you can use positive parenting to raise great kids? I’m T-Ann Pierce, a transformational life and mindset coach, who helps her clients tweak their perspectives and their parenting skills so they can begin loving the lives they are living. If you still have questions about the how-to’s of positive parenting, contact me at 847.730.7531 or drop me a note at https://t-annpierce.com/contact-me/.